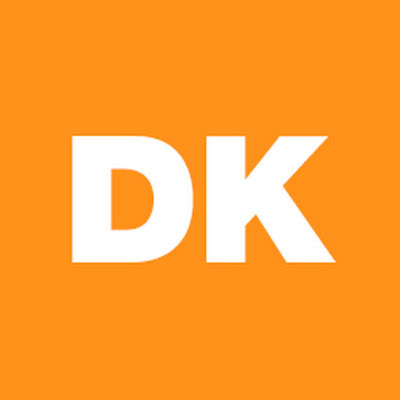 DataKind is looking for a Community Engagement Associate based out of our Brooklyn office. Named as one of Fast Company's 10 most innovative nonprofits in their 2017 World's Most Innovative Companies List, we are a global organization that harnesses the power of data science in the service of humanity. We bring pro bono data scientists together with organizations that are dedicated to solving the world’s most pressing challenges. Every day, mission driven organizations apply to us with their data science needs. We then work to understand their pain points, how their organization works and, most importantly, how their data and other data sources can be used to make the biggest impact on the world. We’ve helped the World Bank estimate poverty from satellite imagery, teamed with the Grameen Foundation to improve their mobile knowledge programs in Uganda, and joined the American Red Cross in using fire data and open city data to understand where fires are most likely to occur. We’ve gained a prominent voice in both the data sector and the social entrepreneurship world and you can find word of us in The Guardian, The Economist, Mashable, and the Stanford Social Innovation Review. See this TEDx video for more about what we do. DataKind would not exist without the dedication, intelligence, and generosity of our thousands of volunteers worldwide that donate their time and talent on projects aimed to help organizations leverage data science for the greater good. Our volunteers represent some of the most talented data scientists around the world and their commitment makes DataKind’s work possible. So what motivates and keeps these experts coming back for more? Getting to work on challenging problems with inspiring and talented people. To ensure we’re providing volunteers the best experience and rally even more to join us, we’re seeking a Community Engagement Associate that is equally inspired by the power of volunteers as they are technology and data. You will support our six international chapters and volunteer community to ensure we provide volunteers a seamless experience as they tackle some of the toughest social challenges out there. Support a Global Community of Pro Bono Data Scientists. You’ll support the development of tools, training materials, and processes that will help us better engage our existing volunteer community and inspire others to join. You’ll help nurture meaningful connections and experiences while also ensuring our programs are as effective as possible by gathering volunteer feedback to inform improvements. Ensure Seamless Operations for our Chapter Network. You’ll work closely with our Network Team to ensure efficient Chapter operations, including managing vendors and reimbursements for our global network of Chapter Leaders. You’ll develop seamless relationships throughout DataKind’s Chapter Network to support learning and efficiency. Plan Fun and Inspiring Events. Community events are where the magic happens - the space where data scientists and social change makers can brush elbows, exchange ideas, and let their diverse skills converge to solve big challenges. You’ll plan Meetups and other events that engage the DataKind community in New York and support the Annual Global Chapter Summit that convenes our Global Chapter Leaders to share learnings and prep for the year ahead. Systems Management. You’ll maintain and improve current volunteer management systems for community events and Chapter Network events. This could be anywhere from maintaining a database of volunteers to coming up with creative ways to ensure our records are up to date. The goal here is to not only manage volunteer records, but to ensure that what we collect and how we collect is in service of meeting and improving the key performance indicators (KPI) of our volunteer engagement efforts. A people person: You're excited to meet new people, you communicate easily and you listen well. You love to help others be their best and do their best work. Extremely organized: You have a favorite method of keeping multiple tasks and projects moving forward. Whether you’re a listmaker, spreadsheet expert, chart aficionado, or know (and use) every app in the book. You don’t let any details get lost and you communicate efficiently with your team to make sure they don’t lose those details either. A quick study: You learn and absorb everything from new processes and workflows to people’s preferences and idiosyncrasies. You’re not afraid to ask questions, make suggestions, and recommend new insights. Flexible and always looking to improve: Continuous improvement is a mantra of yours. You are flexible and always contribute learnings to the team so we can make constant updates to our process and our product.You can work any project, with any team. You approach your work with humility and are driven to ensure that your team succeeds. Available to work some nights and weekends for volunteer meetings and events. Our Community Events are open and inclusive spaces for all volunteers and partners. Community and Network events are executed with “crafting an experience” in mind, and participants walk away from these events with more technical knowledge and an increased appetite for social good work. Chapter Network Leaders are able to focus on producing great data science projects knowing that their operations are being executed flawlessly. Our volunteers feel engaged, appreciated, and valued. You will support and maintain systems that keep our talented community on track, organized, and accountable to success. You will help design and replicate the DataKind experience for Chapters, organizational partners, and our world class data scientists. You will work across teams at DataKind to ensure a seamless end-to-end experience for our volunteers. You will hone your ability to bring a sense of order to a dynamic system. You will learn a lot about data science for social good and increase your technical knowledge of data science infrastructure and other tools. You will receive a competitive salary and benefits package (including unlimited PTO) with room for growth. You will collaborate with a small team of energetic, smart people. You will work in Brooklyn, a vibrant city full of diverse benefits. What one experience proves you're best suited to take on this role? What’s your favorite example of how using data has improved the world? Commitment to diversity is one of DataKind's core values as we work to foster an inclusive work environment. We cannot do our work without collaboration between people with diverse skill-sets and backgrounds. That’s why we intentionally recruit staff with varied backgrounds, cultures, histories and values to create the rich and vibrant team we need to tackle wicked problems. We encourage candidates to include and describe parallel or equivalent experience where appropriate. We also encourage women and people of color to apply.